A professional internet marketer with over 15 years of agency and in-house experience; Korey Kashmer has managed teams of SEO analysts, 100’s of different campaigns and driven results beyond client expectations! Starting in 2001, Korey started his career at OnlineHotels.com / Tropical Traveler as an assistant within the online marketing department. Assisting with a wide range of SEO projects, affiliate marketing and paid search efforts. Within a few years Korey assumed the manager position of the online marketing department and headed up the SEO efforts for the main business website and it’s microsites. OnlineHotels grew from 10 employees and a handful of sales agents to over 40 employees within the sales and customer service department alone. Looking for a move north, in 2005 Korey accepted a position at ebasedEVOLUTION, a small internet marketing agency located in Charlotte, North Carolina (“Matthews”). Starting as an SEO analyst, the job role moved into managing a book of clients related to 85% SEO work. It also included working with email marketing campaigns and paid search management. Over the next few years Korey assumed the role of Manager, managing a team of 4 analysts as well as managing a book of clients. The role also included helping with Project Management for all the web design projects within the agency. In 2013 Ephricon was acquired by Straight North. At that time Korey made a shift from Campaign Manager to Director of SEO, managing a team of SEO Analysts responsible for building client strategies and ultimately responsible for clients SEO results. The team of SEO Analysts grew to 7 + 3 assistants. In 2016 Kashmer Interactive, LLC was born! Korey’s vision is to continue providing a smaller book of business with exceptional internet marketing results, primarily through SEO (Search Engine Optimization). 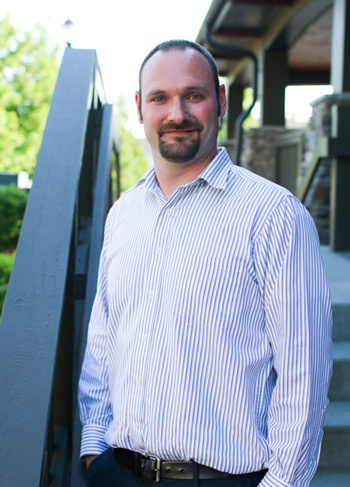 Kashmer Interactive is founded by Korey Kashmer and focused on relationships and results! If your looking to partner with Kashmer Interactive and grow your business into the future, don’t hesitate reaching out. You can call 704.981.1010 or reach out via our easy to use contact form.